The somewhat polarising subject of high-frequency trading (HFT) has been on the regulatory agenda again recently, this time among British government officials and law makers, who last week convened in order to consider the possibility of imposing a levy on HFT in order to make it an unattractive method of trading for what the British authorities consider to be ‘very short term’ investors. 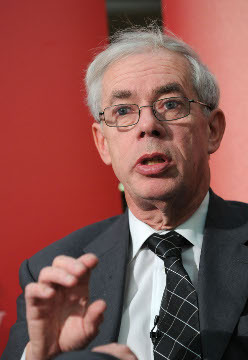 A panel consisting of a series of Members of Parliament was formed in order to bring this matter to parliamentary debate, following an event last year, in which Professor John Kay, a senior economist who chaired the Review of UK Equity Markets and Long-Term Decision-Making whilst reporting to the Secretary of State for Business, Innovation and Skills on the July 23, 2012. The Kay Review sought to improve long-termism in the market by addressing the incentives rewarding the push by market players for short-term profits. It is Professor Kay’s view that shareholders and the public alike have lost confidence in the way companies are run. The report considers that all parties believe that companies should be rewarded for success, not failure. On this basis, the review detailed a number of points in which the financial markets should be leveled out in order to preserve the longevity of financial firms and that markets are less exposed to toxic order flow generated by what the government panel considers to be a short term approach taken by traders engaging in HFT. Professor Kay documented his perspective on HFT in the review by stating that the practice of HFT and the fact that financial instruments are now traded within a few milliseconds epitomises the challenges faced in regulating the market. The review found that whilst there is support for a financial transaction tax (FTT), there have been a number of concerns raised over the practicality of implementing such a tax unilaterally. Professor Kay concluded by proffering a recommendation that the British government should consider the viability, benefits and risks of imposing an FTT on HFT with the objective of changing the behavior of very short term investors. In line with other European authorities, Britain’s law makers may continue with this purge of HFT from London’s financial markets. Such a move was made in Germany by BaFin, the national financial markets regulator in which the HFT Act was drafted in its final form on September 26, 2012 and approved by the German Parliament on February 28, 2013. The British MPs are also considering embarking upon a feasibility study of proposals to ban financial institutions which establish offshore trading subsidiaries in non-OECD territories from trading and operating within the UK. This would also establish whether a domestic FTT could potentially be ineffective in other overseas markets. With European governments looking closely at putting an end to high speed trading, and technology firms still busily engaged in the race to provide the highest possible execution speeds and universal connectivity to the world’s venues for traders worldwide, a cross-roads has been reached. Firms such as EBS are considering mandatory delays in order to deter such business, whilst large institutional trading infrastructure firms such as DealHub, SS&C and TMX Atrium are constantly improving connectivity and offering point to point connectivity as well as latency in the nanoseconds. At this year’s iFXEXPO in Cyprus, Mark Briant-Evans, Head of Marketing at DealHub explained to Forex Magnates that “if a client requires so, we can get it to near-zero”. The future direction that this battle of wits between traders, technology companies and regulatory authorities takes is likely distant, and as North American firms continue to provide very high quality technology with minimal latency, and Britian hosts the largest financial markets in the world, dark pools are gaining popularity in HFT circles as demonstrated by TMX Atrium having connected UBS MTF dark liquidity pool to its community recently. Australia’s financial markets regulator ASIC subsequently announced that it recognizes dark pools as a legitimate part of the financial markets landscape, giving rise to potential use of firms under its jurisdiction by algorithmic traders and HFT participants should the UK disincentivize such practice. Electronic trading is a global marketplace. Taxing those who participate in certain trading practices in one region may lead to a shift elsewhere. I can’t see any chance of the current government implementing a Financial Transaction tax, or High Frequency tax. Ultimately, David Cameron was very hostile to the whole idea of such a tax when it was being floated around Europe. It is inconceivable that a Conservative government would make such a move, with many important backers and supporters being involved in financial services. I would be very surprised if anything comes from this.